Most of us have several modes of entertainment at our homes, which we turn to every time we are bored. This means a web of several wires and cables creating a whole load of mess. Fortunately, now there is a single cable used for both the audio and video transmission. These single, mess-free cables that come with these devices are called HDMI cables. They have definitely made life easier for most people. What Is Meant By HDMI? HDMI, which stands for High Definition Media Interface, is a type of connector that connects your devices and provide audio and video output in a high definition format. The audio transmitted through this cable is multichannel and the video is as clear as crystal. This is because this cord transmits pure and uncompressed signal that makes the audio and video high in quality. Apart from giving you the best gaming or movie experience, these cables significantly cut down the mess traditional cables are known for. With no more cables crossing over each other, HDMI is just one single cable that is needed for your audio and video setup. Where Are HDMI Input And Output Ports Found? HDMI ports are found mostly on the back of your electronic devices. However, some devices may also have them on the front or on the sides instead of the back. Most output devices come with several HDMI ports so that you can connected serval devices at once. For example, you can connect your laptop, Playstation at the same time to a Samsung TV. It's always a good idea to have a TV or receiver with more than one HDMI ports. However, not having enough ports is not exactly a problem. There are HDMI switches available that have multiple ports and can be used to connect more than one device to your display unit. Does your TV or media players have HDMI ports? How can you be sure that they do before you buy one? Check their specs for HDMI inputs and outputs before buying one. Also, check to see how many HDMI ports they come with. Now, how do you check for HDMI inputs and outputs on devices that you already have? You can read the specs online or check the manual. A physical inspection can also do the trick. Input And Output Ports Are Labeled Accordingly. How To Connect With HDMI? Your device might come with an HDMI cable but if it's broken or missing, you can buy one from a store like Koincable. They are quite affordable so it should not be a concern. Simply connect the cable, there’s no right or left here. Plug it in from both the ends and you are good to go. What Are The Benefits Of HDMI? The benefits are simple. It removes the hassles associated with traditional wires since you don’t need two or more wires to transfer video and audio signals. A single wire can do the job. Plus, HDMI cables also produce a high-quality output as there is no disturbance in the signals and the final result is excellent. What Is The Cost Of HDMI Cables? HDMI cables cost as low as $100 to as high as $10,000. 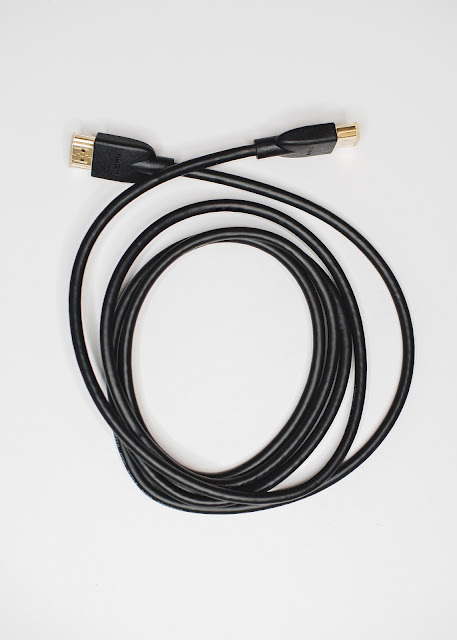 There are many manufacturers of HDMI cables and they all have different rates. Pick a cable that is of high quality and long enough to support your devices so that you have no trouble. These cables are quite durable and will be with you for a long period of time.